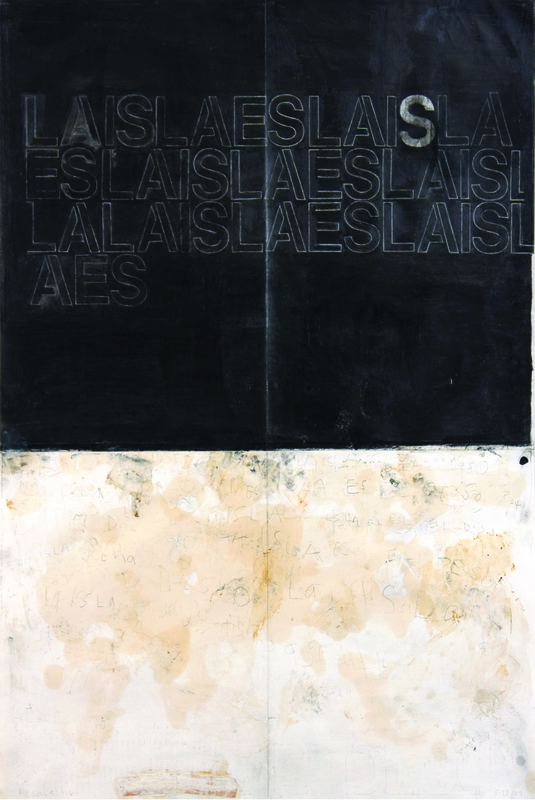 Jose Camacho, La Isla es La Isla, graphite, oil, with tape on paper, 32” x 24”, 2009. Courtesy of the artist. The Walsh Gallery at Seton Hall University is pleased to present How to Speak Puerto Rican, a solo exhibition featuring artist Jose Camacho. Camacho was born and raised in Puerto Rico, and moved to America as a young adult in the 1980’s. These dual perspectives influence Camacho’s artwork, revealing a romantic, yet candid outlook on both cultures. Identity politics play a large part in his creative arsenal, which draws upon such influences as Puerto Rican folk music, Spanish classical literature, modernist painting and American pop culture. The artworks on view include painting, mixed media and sculpture. Curator Jeanne Brasile notes that while Jose’s message is strongly informed by his Puerto Rican heritage, “I am also drawn to his use of materials and his process. Jose’s interest in surface and texture is apparent in his many paintings and drawings, which typically consist of layered materials such as paint, paper and graphite.” Process-wise, Camacho’s approach is laborious, and he’ll often re-work his art over a period of years, adding and/or subtracting layers to achieve the desired effect. The exhibition will be accompanied by a full-color catalogue with an essay by art historian Niria Leyva-Gutierrez. Gallery hours are Monday through Thursday, 10:30am to 4:30pm. Admission is free and open to the public. For 150 years, Seton Hall University has been a catalyst for leadership, developing the whole student, mind, heart and spirit. Seton Hall combines the resources of a large university with the personal attention of a small liberal arts college. Its attractive suburban campus is only 14 miles by train, bus or car to New York City, with the wealth of employment, internship, cultural and entertainment opportunities the city offers. Seton Hall is a Catholic university that embraces students of all races and religions, challenging each other to better the world with integrity, compassion and a commitment to serving others. For more information, see www.shu.edu. Seton Hall University is located at 400 S.